Hillary Clinton can’t run a successful campaign on her own, so she does what most of the people left in the wake of Trump are doing: she steals his message. 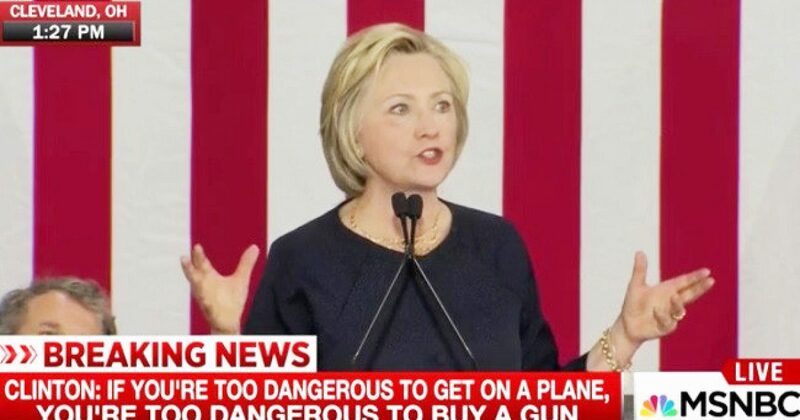 While talking about the Orlando massacre, Hillary talks about pride and American values. Hillary Clinton is the very REASON for Muslim terrorists thriving in America, and now she wants to talk American values? In another speech, the woman who has accepted more Middle Eastern money than LA call girls tried to blame the Middle East for terror acts?! Incredulous, particularly in light of a Saudi prince’s claim that he has financed 20 percent of the Clinton campaign. Furthermore, let’s not forget that extortion racket known as The Clinton Foundation. How much Middle Eastern blood money has it taken in? Over $50,000,000 from the Middle East despots. The radical Muslim problem in America (and the world) is due to the Barack Obama and the crooked Clintons. That is why Obama supports crooked Hillary, and why Loretta Lynch won’t indict crooked Hillary.